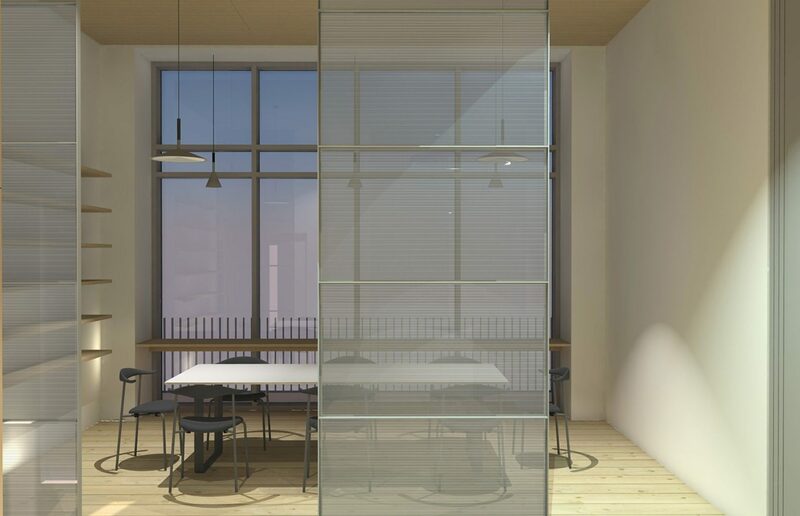 We have been commissioned to design the internal fitout for the entrance lobby of the private apartments of the mixed tenure scheme in Swiss Cottage. 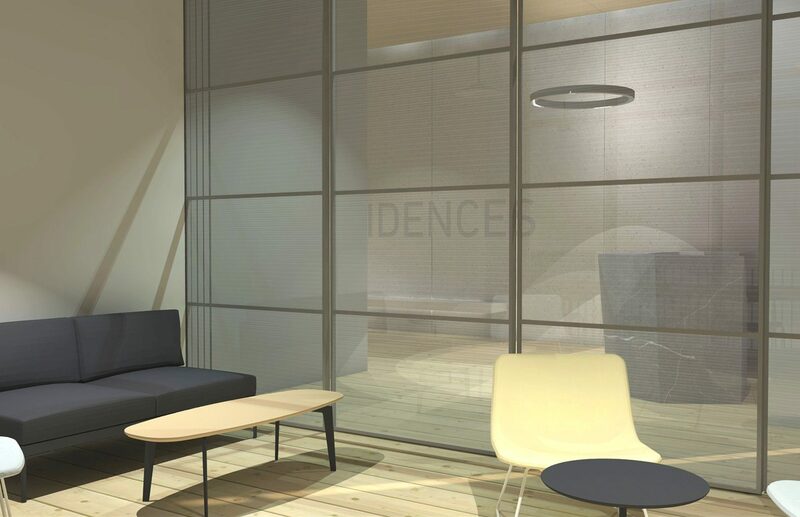 The scope included design of the entrance desk, a waiting area/ flexi working space which can be reconfigured as a meeting area plus the lift lobbies. 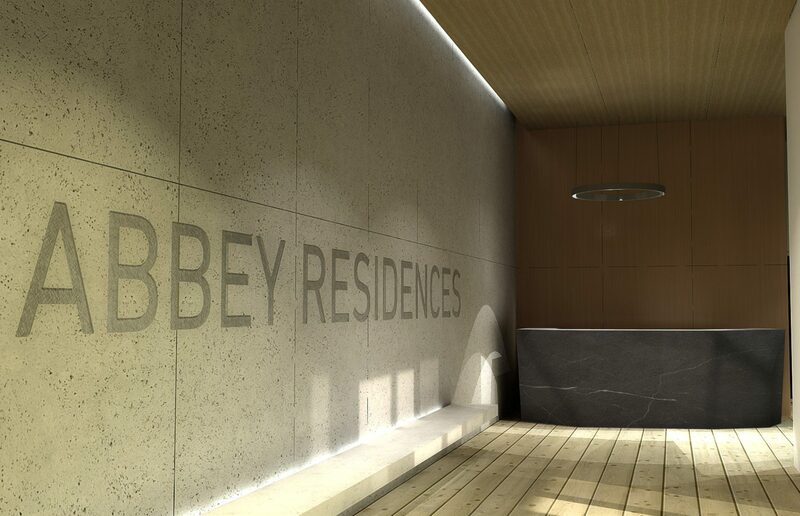 The palette utilises the patina of natural materials such as white concrete, bleached oak flooring and satin brushed bronze panels to create the feeling of understated luxury, befitting of the scheme. 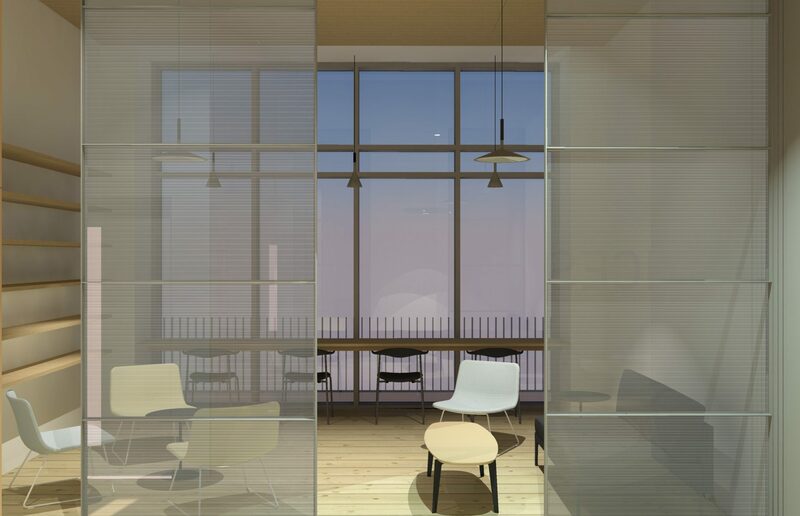 Sliding reeded glass screens can separate the meeting space off from the lobby if required.